IIHS Top Safety Pick. Only 33,624 Miles! Scores 27 Highway MPG and 21 City MPG! 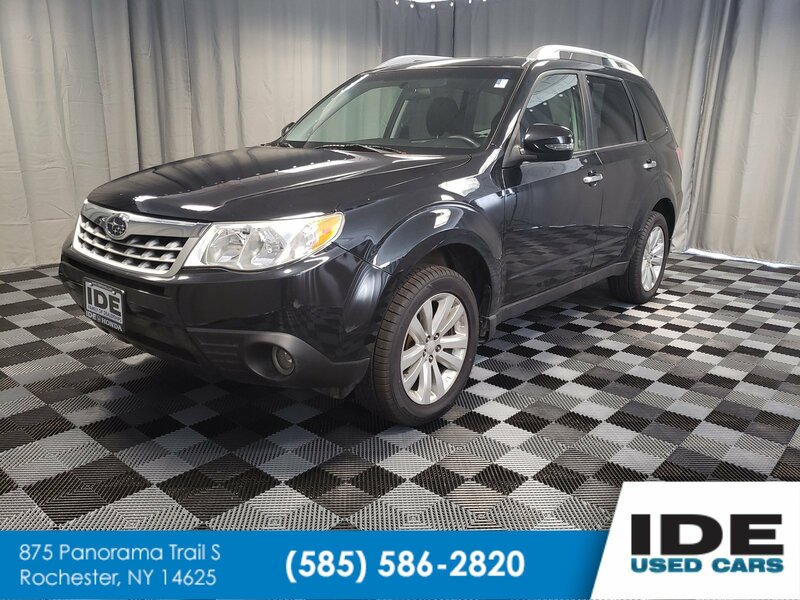 This Subaru Forester boasts a Gas Flat 4 2.5L/152 engine powering this Automatic transmission. STANDARD MODEL, SPLASH GUARD KIT, SECURITY SYSTEM SHOCK SENSOR. *This Subaru Forester Comes Equipped with These Options *REAR BUMPER COVER, OBSIDIAN BLACK PEARL, BLACK, PERFORATED LEATHER SEAT TRIM, AUTO-DIMMING MIRROR W/COMPASS, HOMELINK, Windshield wiper de-icer, Ventilated front/solid rear disc brakes -inc: dual-piston front calipers, Vehicle Dynamics Control (VDC), Variable intermittent windshield wipers w/washer, USB port w/iPod control capability, Traction control system (TCS) -inc: off switch. * Know You're Making a Reliable Purchase *According to Carfax's history report: No Damage Reported, No Accidents Reported, 11 Service Records. * See What the Experts Say! 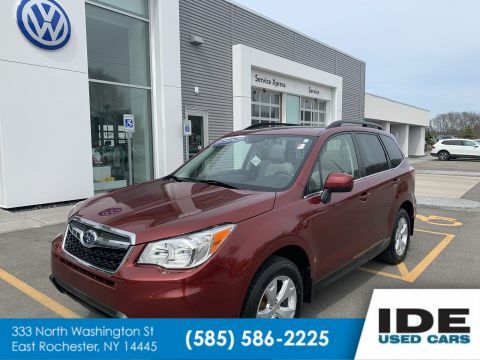 *As reported by KBB.com: If you like the ride and handling of mid-size sedan, but the need for maximum cargo space requires a more SUV-like solution, the Subaru's 2013 Forester gives you the best of both worlds. 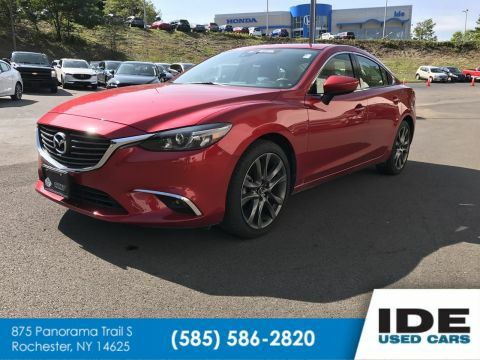 Its low-profile boxer engine gives it remarkable poise in the curves, and its AWD lets it go places no car would dare to venture. 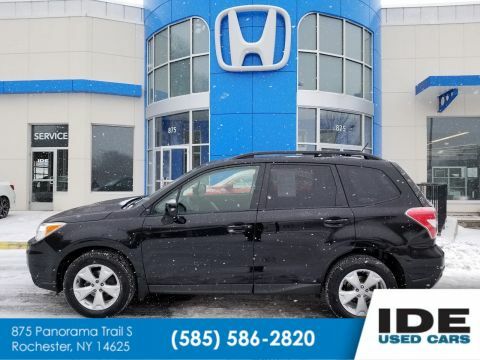 * Visit Us Today *Come in for a quick visit at Ide Honda, 875 Panorama Trail South, Rochester, NY 14625 to claim your Subaru Forester!